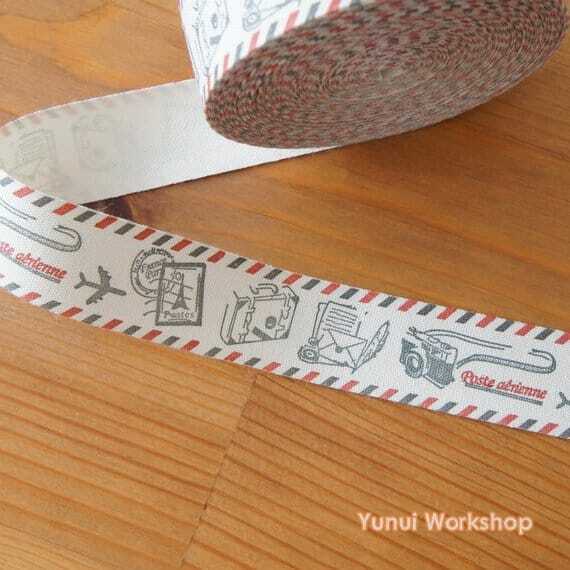 No kidding, there is Cotton Fabric Airmail Border Ribbon available for ordering. It looks like a lot of fun to use for stationery embellishing. First of all, what I like is seeing it available in 2 and 10-meter lengths. In doing a metric conversion think of approximately 6.5 and 32 feet in their respective lengths. In addition, the Yunui Workshop at Etsy is showing based out of Hong Kong. 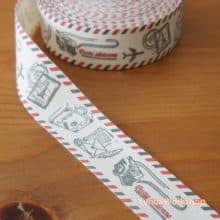 And last but not as a surprise, I’m considering ordering some of their Fabric Airmail Border Ribbon! It may be perfect for that “little something extra” to include within a letter, making a great bookmark from a Pen Pal!